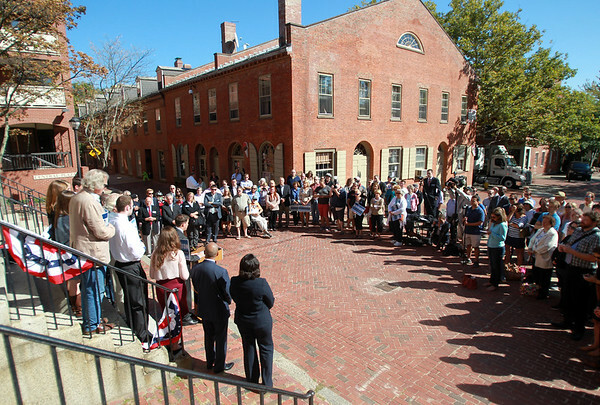 A large crowd of people gathered in Derby Square in Downtown Salem on Friday afternoon as Democratic congressional nominee Seth Moulton was endorsed by both Governor Deval Patrick and Salem Mayor Kim Driscoll. DAVID LE/Staff photo. 9/12/14.